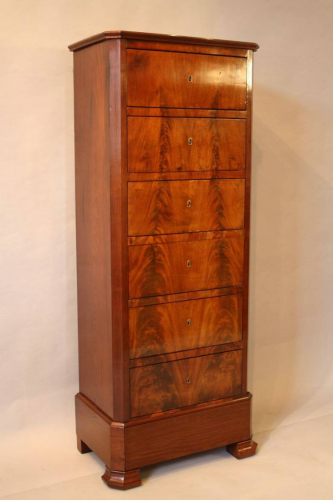 An elegant and beautifully made flame mahogany tall boy. Six deep drawers and one secret bottom plinth drawer - see pic. C19th English.